Frequently Asked Questions and answers about letting property. I want to let my property. Do I need to tell my mortgage lender? Yes. Your mortgage lender needs to give you permission before you can let your property, and they may impose special conditions. If you are buying a property with the intention of letting it out, you may be able to obtain a buy to let mortgage. How do I know what rent to charge? Ask a letting agent to value your home. At Your Move, we’re experts in the market, so we can tell you how other rental properties are doing in the area, and what kind of yield you can hope to expect. Book a rental valuation with Your Move. How much will it cost me to let my property? This really depends on how much support you need. At Your Move we offer three main service levels: Tenant Find, Rent Collect and Fully Managed. Each involves a different degree of service from Your Move and the fees we charge reflect this. Be sure you understand an agent’s fees and exactly what you receive for your money when you ask them to conduct a lettings valuation. Why should I use a managing agent? Choosing a fully managed service allows you to completely relax. You never have to worry about the let. It creates a professional distance between you and the tenancy, and means you can avoid having to deal with all the bad bits like rent arrears and deposit disputes. What happens to my tenant's deposit? Landlords and letting agents are required to register tenants’ deposits with an approved Tenancy Deposit Scheme. At Your Move, we register deposits with a scheme such as My Deposits. The deposit is then either held by the landlord, the agent or the deposit scheme itself. The Tenancy Deposit Scheme is there to protect the tenant’s money and help to resolve any disputes at the end of the tenancy. Why should I have an inventory? An inventory is a detailed list of the contents and condition of your property taken before the tenant moves in. It is important that if there is a dispute over damage at the end of the tenancy, you have proof of the original condition of the property and its contents. An Energy Performance Certificate, or EPC for short, is a report detailing the energy efficiency of a property. It gives a property an energy efficiency rating from A (most efficient) to G (least efficient) and is valid for 10 years. All landlords are required to purchase an EPC for a property before they let it and, from 1st April 2018, the property must have a minimum rating of E on its EPC. It will be unlawful to rent a property which breaches this requirement with a penalty of up to £4,000. What are my obligations surrounding gas? A Gas Safety Record (GSR) is in place to ensure that all gas appliances, pipes and flues are in safe working order. It must be carried out by a qualified Gas Safe Register engineer. This needs to be checked every 12 months. Do I need to get my electrical appliances tested? You are required to ensure that any electrical devices within the property are safe for use. We recommend an Installation Survey or Portable Appliance Testing (PAT) so you can be sure you are compliant. How do I check my furniture is compliant? You must ensure that all furnishings comply with furniture and furnishing regulations. All compliant furniture must display standard labels in a prominent position. This is to reduce the risk of fire within the property. How do I receive my rental income from my letting agent? If you choose a Rent Collect or Fully Managed service, we will organise for the tenant to pay the rent via standing order or direct debit. We will then transfer the money to your account minus our commission and any outgoings or fees (such as maintenance work fees). You will receive a statement every month. Will my agent keep my money safe? If you have chosen a regulated agent like Your Move, then your money will be protected through the Protection Bonding Scheme. Not all agents are regulated, but Your Move choose to be. We are members of ARLA Propertymark and TPO. Does a landlord need to pay tax on rental income? All landlords could be liable to pay tax on their rental income, whether they live in the UK or are based overseas. Further information can be found on the Inland Revenue’s website. Can I enter my property during the tenancy? You need to give the tenant appropriate notice before you enter the property. Who will pay the council tax - the landlord or the tenant? The tenant is responsible for the council tax (unless you decide to include this in the rent) but this needs to be clearly stated in the tenancy agreement. If the property is standing empty, it is the landlord’s responsibility to pay. Who will pay for the TV licence - the landlord or the tenant? Usually the tenant, though this should be stated in the tenancy agreement. However, if the landlord furnishes the property with a TV, they would be expected to pay the licence. What is a routine visit? The landlord or the letting agent gives the tenant notice that they will be visiting the property to check it is being looked after, and to check for any potential maintenance issues. What if the tenant damages the property? Either the tenant pays to fix the damage, or the cost for fixing the damage is removed from the tenant’s security deposit at the end of the tenancy. However, fair wear and tear should be allowed for. What if the tenant doesn't pay? It is sensible to insure yourself against non payment of rent. Your Move’s rent protection insurance pays 100% of your rent for up to 12 months if your tenant is unable to pay for any reason. Terms and conditions apply. This information is a summary only. You will receive a full policy document upon application. This policy will set out the terms, conditions and limitations of this product. What if I want to remove my tenant? If your tenant refuses to leave the property then legal action will be necessary. Your Move’s rent protection insurance covers legal fees up to £15,000 including any legal costs arising from regaining possession of your property from a tenant (providing there are rent arrears or the tenant has failed to vacate the premises at the end of a tenancy agreement). The ARLA Propertymark is the leading professional and regulatory body for letting agents in the UK. ARLA Propertymark is dedicated to protecting consumers by improving standards and professionalism within the lettings industry. Remember, letting agents are not regulated by law. Your Move choose to be members of a regulatory body. The Property Ombudsman (TPO) is an independent body to which landlords can refer any complaint should the agent fail to address it to their satisfaction. We are founder TPO members. The Right to Rent scheme, which helps to make sure that people renting property in the UK have a legal right to be here, was rolled out across England in February 2016. At Your Move we’ve been doing this as part of our referencing process for many years, but if a landlord carries out their own checks they will now need to get an acceptable proof of residency or risk a fine. If we don’t currently handle tenant checks for you, we’d be very happy to discuss how we can help you with this. How can I improve my EPC rating? There are a few easy and cheap ways to improve your property's EPC rating. Ensuring all your lightbulbs are energy savers is a simple change. Check your loft insulation is at least 270mm too, and if you have cavity walls ensure these are filled with insulation. More expensive ways to improve your property's EPC rating include replacing an old, inefficient boiler; adding modern controls like room thermostats; or adding renewable technologies like solar panels to the property. What is Client Money Protection? The Client Money Protection (CMP) Scheme provides compensation for landlords, tenants and other clients when agents misuse or misappropriate their rent, deposit or any other client funds. 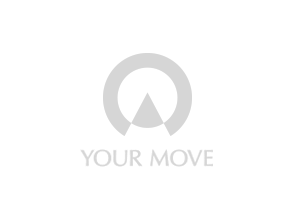 Your Move has CMP cover through ARLA: Propertymark. Can my tenant refuse an increase in rent? For a periodic tenancy (rolling on a week-by-week or month-by-month basis) you can't normally increase the rent more than once a year, unless you seek the tenant's agreement. For a fixed-term tenancy (running for a set period of time) you can only increase the rent if your tenant agrees. Find out more about rent increases. Why do I need an inventory? We strongly recommend that you take the option of a professional inventory. It helps you protect your property and forms part of the contract between you and your tenant. It will detail the condition of the property when a tenant moves in and at the end of their tenancy. Vital to ensure there is no deposit disputes at the end of tenancies.